Our water, wildlife, and economy are threatened by invasive species. Travelers from faraway lands without predators here in Oregon, they spread quickly. Native plants and animals are pushed out, and entire ecosystems and agricultural areas can be seriously degraded or destroyed. When invasive plant species spread, they often create monocultures, areas without biodiversity dominated by a single species. 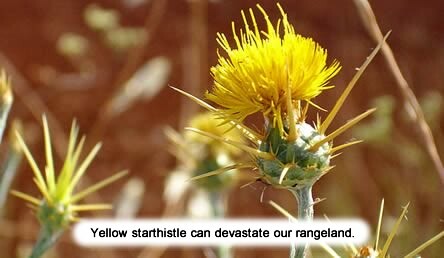 Monocultures of species such as English ivy and yellow starthistle are poor habitat for wildlife, and they can decimate rangeland used for domestic animals like cattle. Invasive plant species also reduce water quality because their roots do not trap and filter water as well as diverse native plants. Invasive plants and animals travel by air, land, and sea. Some of the most damaging species in the United States, such as zebra mussels, are carried by ships, but many others are spread on people's shoes, clothes, and luggage. Some are brought here as garden plants, food, or household pets, but they can outcompete natives and spread at an incredible rate when they make their way to the wild. Each arrival is a new threat to the healthy, diverse tapestry of life that makes Oregon unique. Remove invasive plants on your property and replace them with native species. Report invasive plants and animals through the Oregon Invasive Species Hotline. 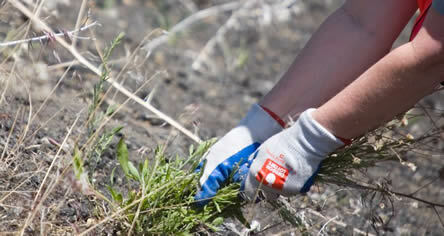 Remove invasive plants or plant natives with us at a project near you. You can even coordinate your own project with support from SOLVE. 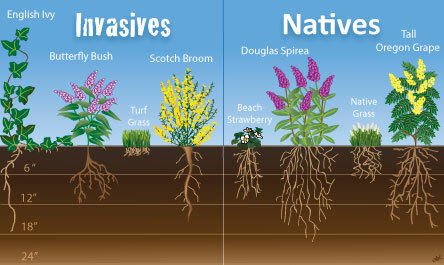 Check out SOLVE's Invasive and Native Plant Guide for information on common invasives in your area and the best native plants to replace them with. Click on your ecoregion and explore the other resources below. Find out more about the invasive and native species in your area and spread the word! The National Wildlife Federation has a great introduction to invasive species. Cooperative Weed Management Areas, or CWMAs, are a partnership between landowners, government agencies and local organizations working to manage and prevent the spread of invasive plants. King County, Washington has a great invasive species prevention program and much of the information is relevant here in Oregon as well! Let’s Pull Together is an organization that organizes annual invasive removal volunteer projects in Central and Southern Oregon. The No Ivy League started in Portland’s Forest Park, has good resources on how to remove invasive English ivy. Oregon Association of Conservation Districts Local Soil and Water Conservation Districts, including the East Multnomah and West Multnomah districts in the Portland area, are on the front lines of the fight against invasive plants and have many great resources. The Oregon Department of Agriculture’s Noxious Weed Program has good information on invasive plants including profiles of the most common invaders. Watch OPB’s award winning documentary, The Silent Invasion. In 2008, SOLVE partnered with the Oregon Invasive Species Council, Oregon Public Broadcasting, The Nature Conservancy, and other community organizations to create more awareness about the problem of invasive plants and animals. One product of this partnership was OPB’s award winning documentary The Silent Invasion. Another was the Garden Smart Oregon guide. This booklet, developed in association with The Nature Conservancy, Portland BES, Oregon Sea Grant and the Oregon Association of Nurseries, highlights the plants that are most likely to cause problems in our yards along with several suggested alternative non-invasive plants that are unlikely to escape into the natural environment. You can download the guide here or request a paper copy by contacting SOLVE at 503-844-9571 or info@solveoregon.org.